Panasonic’s latest cutting-edge technologies such as “Transparent Screen” – an intelligent glass display that has the ability to project images and information like news programs and weather data – and latest audio visual solutions are exhibited at the newly renovated entrance. At the showroom area, the company’s wide range of products and solutions, from audio-visual equipment to home appliances and beauty products, are showcased to highlight a premium living environment that centers around the concept of“safety, security, comfort, convenience and style” which Panasonic can offer its Vietnamese consumers. Visitors will be able to get hands-on experience at cooking salons and beauty corners where workshops and programs on“food” and “beauty” will be held to bring about new ideas on how to “enrich people’s living”. In addition, Panasonic’s Business-to-Businesss (B2B) solutions are displayed at the newly renovated showroom to further demonstrate how the company aims to provide“A Better Life, A Better World” for both its consumers and business partners in Vietnam. “Panasonic Risupia Vietnam was established in line with our corporate business philosophy of contributing to the society. It serves as a platform where not only Vietnamese families but also business entrepreneurs can have easy and enjoyable access to Panasonic’s state-of-the-art technologies and innovations that are changing people’s lives all over the world”, commented Yamamoto Masahiro, Director, Panasonic Vietnam. Since its establishment in 2010, Panasonic Risupia Vietnam has welcomed approximately 300,000 visitors. Educational and interesting games and activities are also organized at the Risupia Zone engage children to learn about Science and Mathematics in a fun way. 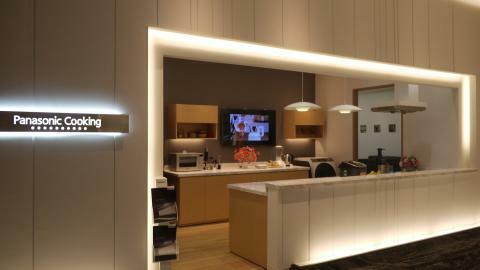 Visitors both young and old are invited to visit the newly designed showroom. In the next month, a series of interesting programs will be held to commemorate the re-opening of Panasonic Risupia Vietnam, such as Science workshops, contests and cooking classes. With Vietnam as one of the company’s strategic markets in Southeast Asia, Panasonic Vietnam will continue to expand its manufacturing facilities, as well as research and development center to actively support the country’s economic and societal development. In the last 10 years, the company has invested USD 243 million and employed over 7,500 people here. The re-opening of Panasonic Risupia Vietnam today is momentous in celebrating Panasonic’s milestones over the last decade and demonstrates its continued commitment to the country. Concept: Premium Lifestyle – "the lifestyle we desire"
Based on the concept of “Omotenashi,” the entrance will present an image of what life will be like in future with innovative premium products such as a transparent LCD display and the latest range of audio visual solutions and products. -Light ID (identifier) is a visible light communication system which facilitates customers’ access to information through the use of an application. This is achieved by pointing their smartphone camera towards an LED light source or illuminated object that has been programmed with details on products or places. 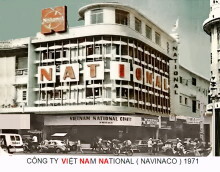 With the Light ID, travelers to Vietnam will be able to download information on places of interest and transportation, for example, in their preferred language. 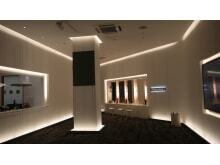 -Space Player combines lighting and projection technology. The product can be used as a marketing and business promotion tool by programming it with various images and messages. 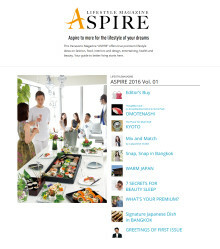 Owners of shopping malls, restaurants and stores can utilize the Space Player to attract and retain customers. -Transparent Screen is an intelligent ‘tinted glass’ display that has the ability to project images and data such as news programs, weather information, as well as function as a light and thermostat control, potentially a centerpiece of a smart home. Visitors can view the latest line-up of Panasonic’s 4K UHD LCD Display, including the new 98-inch screen that delivers the ultimate, high picture quality with high contrast and rich color expression, projecting beautiful visual contents such as on World Heritage sites. -The lifestyle that achieves the key values of “safety, security, comfort and convenience” for example, via the provision of comfortable living space for three generations. -Introduction of a “stylish lifestyle” that we all desire – Lifestyles that promote stylish house appliances, interiors, and designs for young married couples. 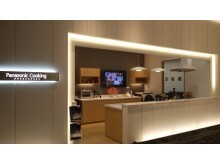 Panasonic Cooking, Panasonic Beauty products will be introduced and displayed to offer hands-on experience to visitors. Panasonic Vietnam (PV) is the first 100% foreign invested company to assume the role of the country headquarters in Vietnam. Up to now, Panasonic Vietnam Group comprises of seven companies, five of which are manufacturing companies – Panasonic Industrial Devices Vietnam (PIDVN), Panasonic System Networks Vietnam (PSNV), Panasonic Appliances Vietnam (PAPVN), Panasonic AVC Networks Vietnam (PAVCV) and Panasonic Eco Solutions Vietnam (PESVN), and the Panasonic Research & Development Center Vietnam (PRDCV). The Group currently employs a total workforce of about 7,500 people. In Vietnam, Panasonic is one among those enterprises that place great emphasis on social activities surrounding education and environment.